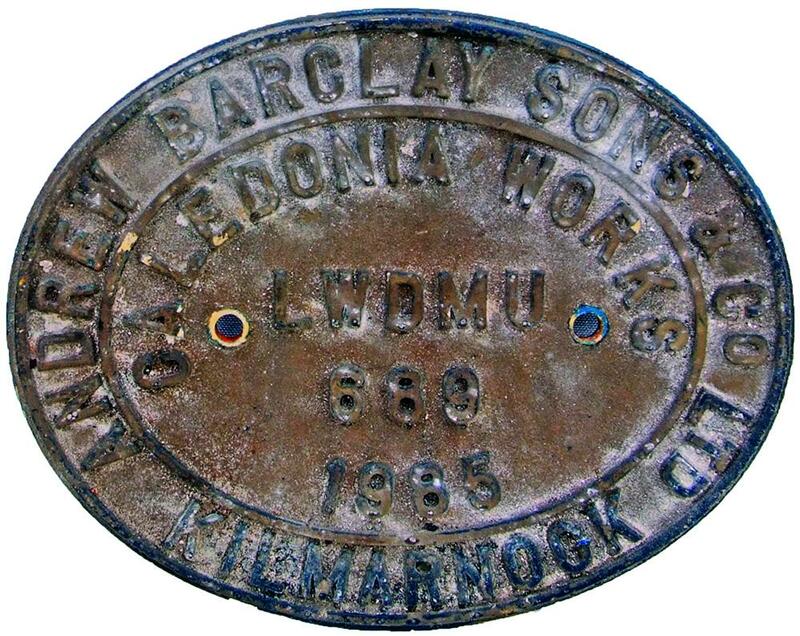 Worksplate, cast alloy, Andrew Barclay & Sons Co Ltd., numbered LWDMU 689 dated 1985. Ex 4-wheeled DH 230Hp Pacer Class 143, 2-car sets numbered 143601 to 143625, AB numbers 669 to 718/1985 to 1986. The initials stand for Light Weight Diesel Multiple Unit. Bodies were built by Walter Alexander of Falkirk and the Underframes by AB.